Every now and again you see a watch with no obvious pedigree, that no one knows anything about, and that has a unique feature (like a game) that makes you wonder where on earth it came from and why there aren’t more of them around. One such example is the Raid Off Bug Attack game watch. The game itself is pretty nondescript and not exactly one that would make you stay up at night trying to beat your high score, but it’s rare and one-of-a-kind — at least I thought it was until recently. Turns out, the Raid Off game is just a rebranded version of a game watch sold by one of my favourite novelty companies, Johnson Smith Co, back in the 1980s. Reliving my childhood by browsing the 1984 catalogue, I cane across an advertisement for a familiar looking watch — the Remex Laser Attack! And it cost almost $20 – a high price I’d have thought for a pretty average watch in the mid-80s; this was the time Casio was coming into their own with mega-function calculator watches, Seiko had released their superwatch the G757, and Nintendo was starting to corner the handheld game market too. Those old catalogues are great — here’s another great looking piece from the same year, the Multichron calculator watch (love those square buttons!). 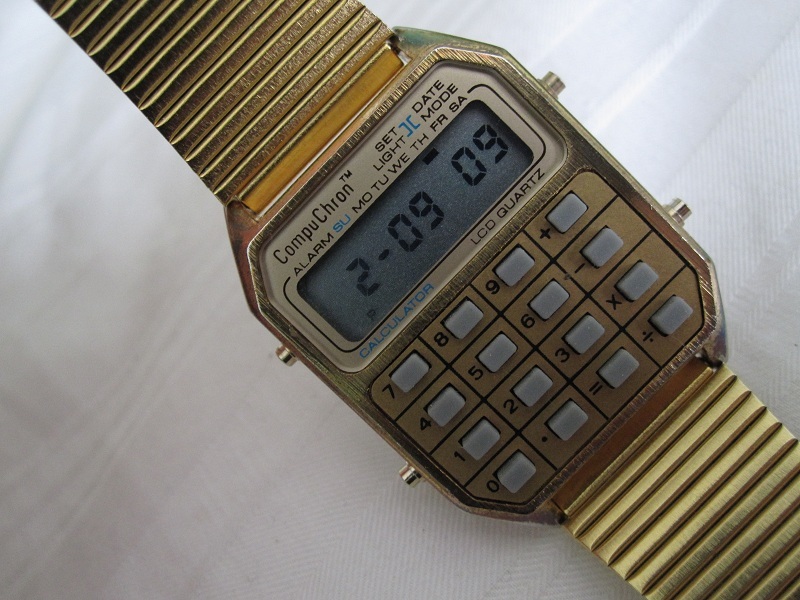 This was a direct rip of a Compuchron calculator watch so there were plenty of examples of grey-market watch production going on at this time — you just need to look at how many variations of the Nelsonic Space Attacker watch there are to get an idea of this.